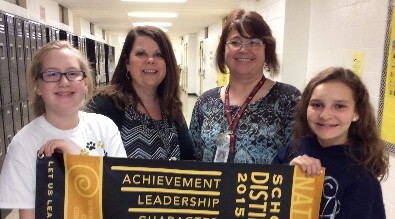 Scotts Hill Elementary School Beta Club has been recognized as a National Beta School of Distinction. The award speaks highly of our staff and students and their willingness to serve others. The club works to provide food and presents for up to 60 students, serves as student ambassadors during school events, write letters to soldiers and perform setups for school events. Pictured are from left to right are Taylor Dowdy (President), Vickie Avrett (sponsor), Kim Crews (sponsor) and Addyson Maness (Vice-President).